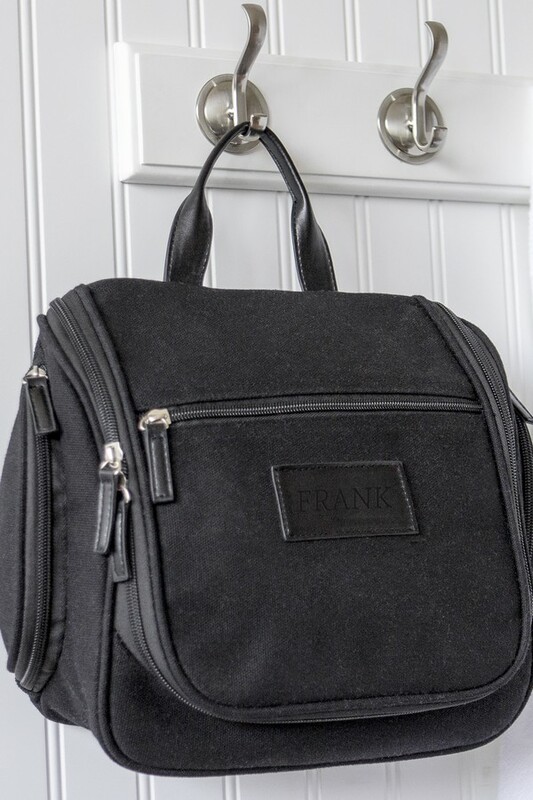 Great for a dorm or weekend away, this men's black waxed canvas and leather hanging toiletry kit is personalized with a custom engraved large single initial, monogram or name. 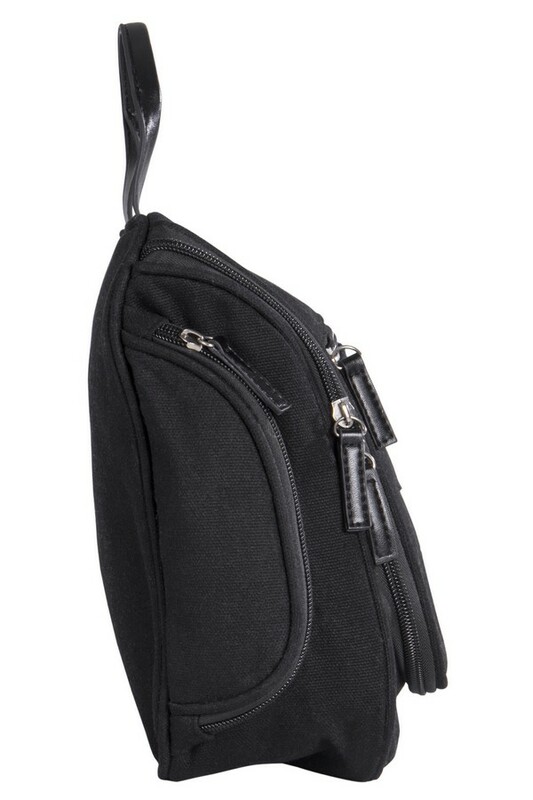 This toiletry bag has multiple interior and exterior pockets to ensure safety and organization for all of your items. The innovative hanging feature is ideal for your dorm to hang on the back of your door keeping your sink clear and clutter free. With the included metal hanging hook, you will be able to display this bag in seconds, while its sturdy double stitched handle makes for comfortable carrying and transport. 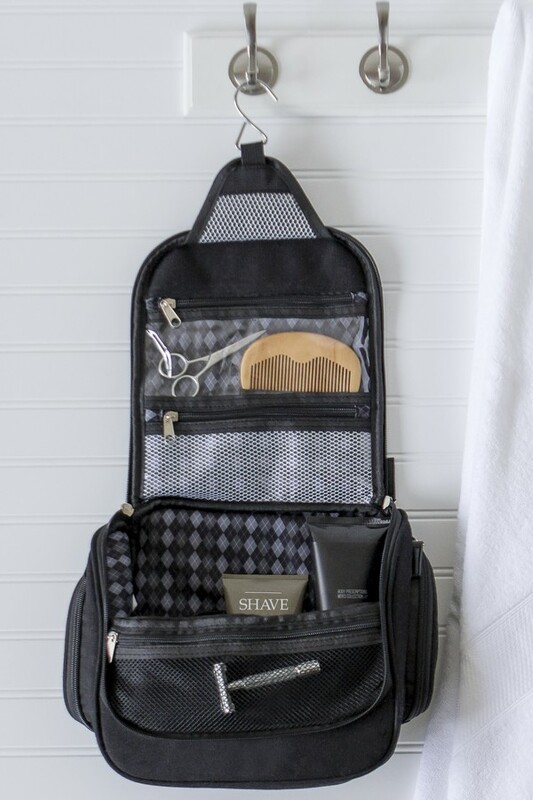 Features a large zippered opening and a stylish argyle interior print. Another feature is the double stitched leather handle and included metal hanging hook. Personalized with your choice of custom printed large single initial, monogram or name.